On Parable, Black Horse Motel are able to provide a solid introduction to themselves. Run, Rabbit, Run is the first track on this EP, and it immediately will draw listeners in through a tried and true bluegrass / country sound that draws upon performers like The Outlaws and Charlie Daniels. The musicianship on this first salvo is top notch, setting the stage for the next tracks to follow. Particular high notes during Run, Rabbit, Run are the front and center vocals, which are given an additional layer of depth through the contributions of the strings and percussion. A secondary set of vocals enter into the fray, giving fans the boost that they need to end the track as excited as they were when it began. Bones is a track that simultaneously draws an a much earlier musical tradition while shining brightly in the current era. A slower tempo and more heart-wrenching side to Black Horse Motel results in another hit for the band. Where The Money Comes From is the best track for our money on Parable, as it ties together the smart instrumentation, dual vocals, and a refreshingly honest and earnest sound. Take It Back is the penultimate song Parable EP, giving fans a look into the instrumental skill of the band; with just their instruments, the band is able to tell a rich, complex, and fulfilling story. Dear Mama concludes the release with a stripped-down sound that deftly blends together hints of current country, rock, and pop-country styles; the strings are so unique and alluring here. 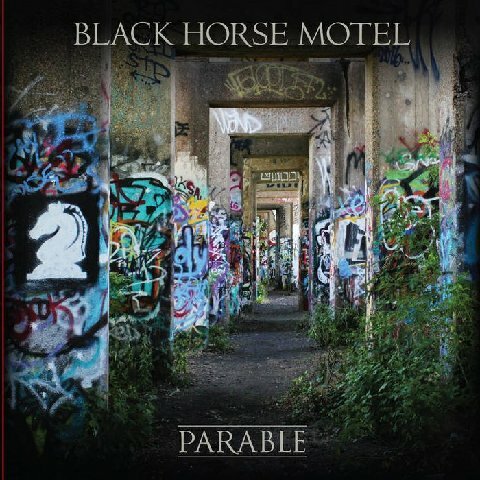 Black Horse Motel has a unique sound that is rooted in a rich set of musical traditions; we’ll be looking for a release from the band, as the Parable EP is one of the best releases we’ve heard this year.